Most people experience knee pain at some point in their lives, either bending, sitting, walking or simply just standing. Muscle strains, tendinitis, and more serious injuries to ligaments and cartilage can be caused by exercise, running, squats, cycling, and other sports activities. Knee pain can be so severe that it limits daily activities for some. As for others, even mild knee pain can be a chronic hindrance to the active lifestyle they desire. In either case, they’re very unpleasant and should be avoided at all cost. Here we will list out 5 common causes of severe knee pain in hope for a better, complication-free lifestyle. Trauma is one of the 5 common causes of severe knee pain. The knee is one of the joints most prone to injury, according to the Arthritis Foundation, due to the knee’s overall structure and components. 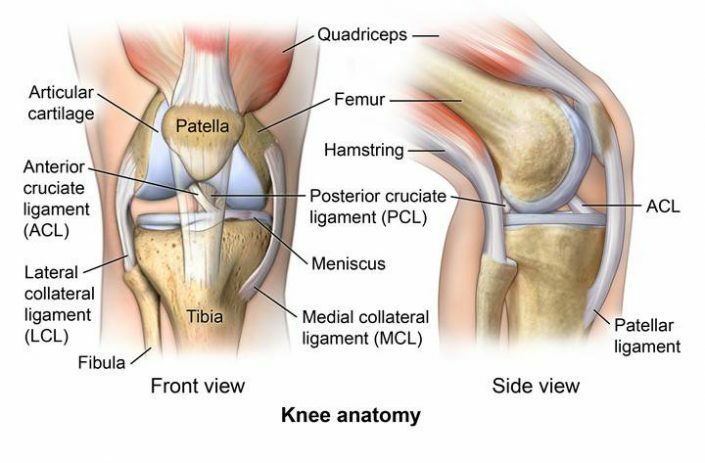 Most common knee joints problems & injuries are due to tears in one of the three main ligaments of the knee, which is the anterior cruciate ligament (ACL), medial collateral ligament (MCL) and posterior cruciate ligament (PCL). These types of injuries are common in athletes. Knee bursitis, joints problems when encountering friction, can be caused by a sudden blow to the front of the knee, especially extreme pain in the kneecap. This injures the small fluid-filled sacs that cushion the outside of the knee joint that allows tendons and ligaments to glide easily over the joints. Therapy and oral medications such as nonsteroidal anti-inflammatory drugs (NSAIDs) are often used to treat knee joints problems. Therapy can include rest, ice, elevation, and splinting. One of the most common degenerative tissue disorder is the osteoarthritis (OA). OA is caused by a breakdown of the cartilage (a tough but rubbery substance covering the end of bones/joints). The protective tissue is damaged by age and repeated the motion. This will in turn damage the surrounding tissues of the knee with increased friction on the bones of your joints as they rub against each other without the protective tissue. The worst case scenario is where the bones will be damaged. 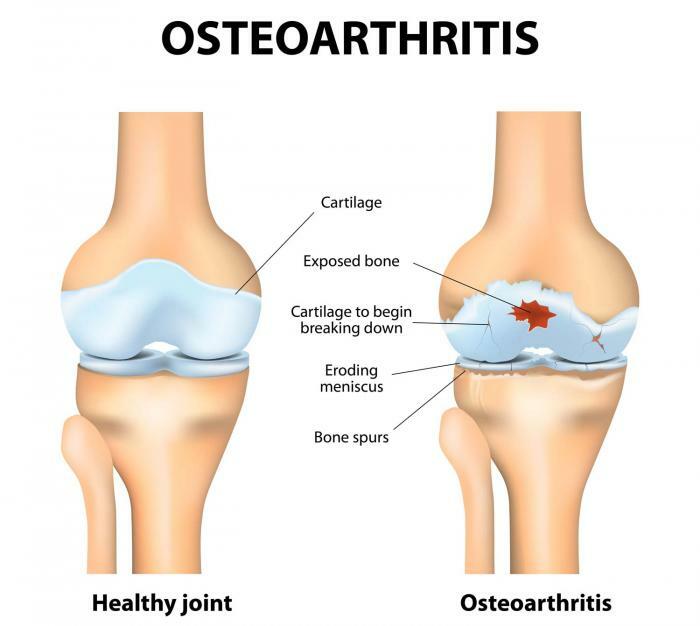 Osteoarthritis will produce pain, stiffness and prevent the join from working properly i.e. affecting the shape of a joint, keeping it from functioning smoothly. 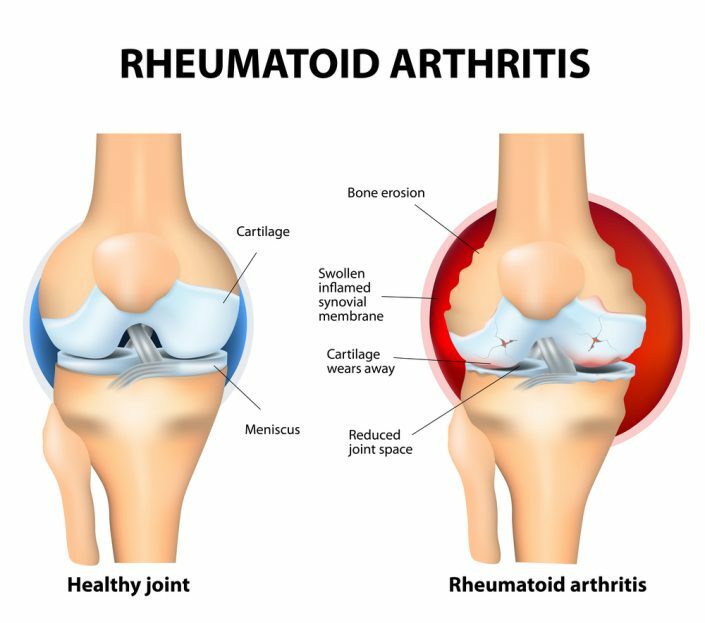 Rheumatoid arthritis (RA) is an autoimmune disease that can cause knee pain and joints problems throughout your body. Unlike degenerative tissue disorders, rheumatoid arthritis and other connective tissue disorders affect the lining of the joints. If untreated, RA can lead to bone erosion and even joint deformity. There’s no cure for rheumatoid arthritis to date, but medication and treatment options are available. Especially stem cell therapy as it helps regenerate tissues in the human body and promote new growth of cells for degenerative knee joints problems. The metabolic disorder is where abnormal chemical reactions in the body alter the normal metabolic process, which will affect several parts of the body. Such cases can be seen from the most common metabolic causes of knee pain, which is gout. The buildup of uric acid crystals in the joints caused by gout causes the knee to become swollen and inflamed. It can even affect the knee’s range of motion! Doctors usually will recommend anti-inflammatory medications or other treatments that assist in the breakdown of chemicals that lead to crystal formation. Side notes: Research has found that all of the above symptoms can be improved by going for stem cell therapy. It is widely known that the abundant supplies of Mesenchymal Stem Cells extracted from Wharton Jelly of the umbilical cord have a very high regenerative characteristic, capable of boosting the immune system, improving overall human health, and even as an anti-aging treatment. With its help, recovery from inflammation should be the norm now or even the repairing of the cartilage. They’re all possible with the help of stem cell therapy. Cellulitis is a very serious bacterial skin infection that can affect the knee area. Even a simple scrape on the knee can become infected if it is left untreated. Symptoms include redness in the affected area and skin that feels hot and extremely tender to the touch. If not treated properly, the infection can spread to other areas of the body, includes lymph nodes and bloodstream. Worse of all, such infection can be life-threatening. However, in most cases, cellulitis can be cleared up with antibiotics. Its signs and symptoms normally disappear within a few days following treatment. After reading these 5 common causes of severe knee pain, we hope that your perceptions of ‘knee pain and damage only affecting older people’ has changed. Most youngsters also suffer from knee joint problems even when driving or kneeling. As mentioned above, the knee gets injured easily, take good care of it and it will bring you to places. To find out if your case has a good chance to be treated with stem cell therapy, please fill up the patient application form. We’ll get back to you once our physicians have evaluated it.